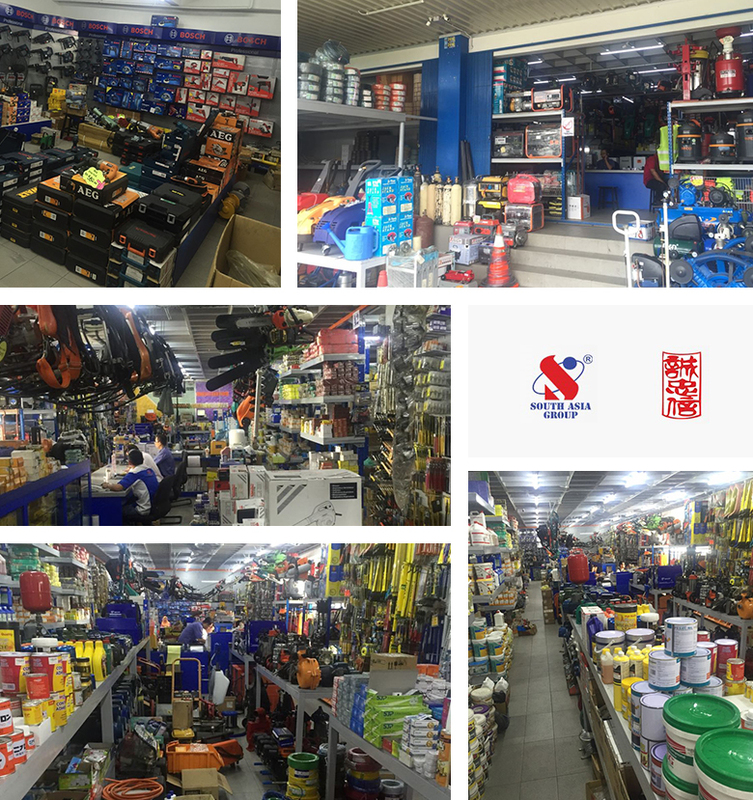 We pride ourselves as a one-stop centre for all hardware, machinery and equipment needs. Including sales, support and repairmen that enables customers to run their business more fast and efficient. With many years of experience we have set up our second large scale of industrial company, South Asia Hardware & Machinery Sdn. Bhd., founded in June 2007 after Shing Choong Sing Hardware & Machinery Sdn. Bhd. the headquarters. South Asia is located in Taman Johor Industrial Area, Johor Bahru,Johor. After many years of experience, Shing Choong Sing core business now is mainly in industrial hardware while South Asia specialized more in bigger size of electrical tools, petrol operated machine and repairmen including on the spot repairmen and assembly. The company conscious the important of quality and services. With the background of professional knowledge about hardware and machinery we provide solid services for the customers. "The proper hardware store" is our mode of operation. South Asia will be the company with highest quality hardware goods complete to create the next century history. Advantage of our company is we can provide the better answer for a mechanical question, professional and technical personnel for the customer to solve the variety of mechanical maintenance and we also keep stock for highly demand goods for the facilitate of our customers.